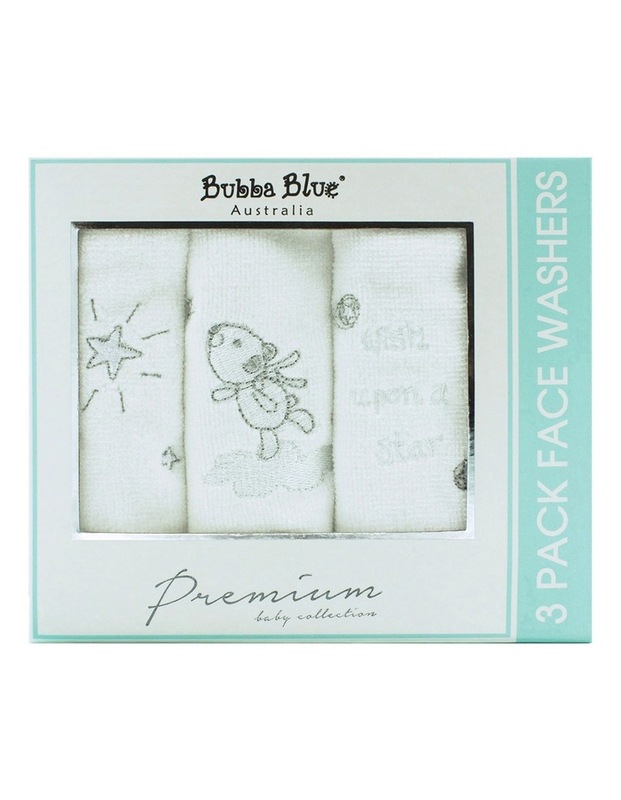 Versatile and delectably soft, the Wish Upon A Star Face Washer (Set of 3) makes bath time a breeze. 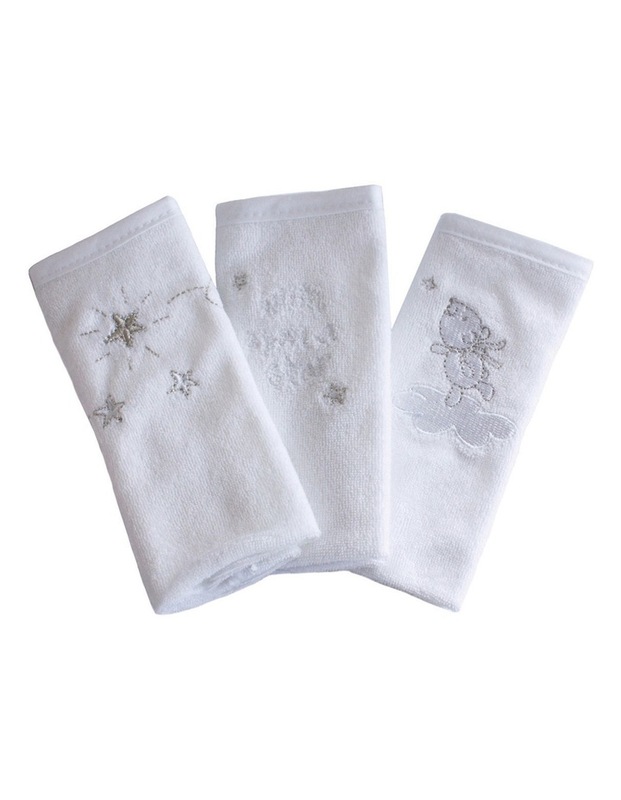 Made from cotton fibres for breathability and softness against your baby's skin.Features whimsical bear and star emboridery. 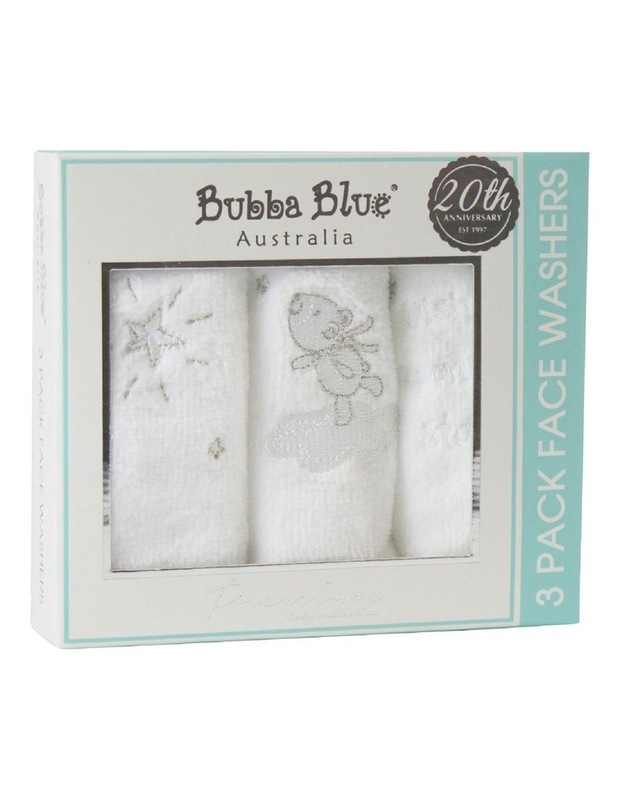 Details:Colour :whitefabrication :premium cottonsize: 30cm x 30cmCare Instructions:Warm gentle machine wash before use Max 40Do not tumble dryDo not bleachDo not ironDo not dry clean (X)"